For hundreds of years, cedar has been used for chests and in closets because of its natural qualities to repel moths and other insects. People are comfortable with cedar because it’s so well-known; the wood has qualities that naturally protect it from the elements and insects. It looks awesome and has staying power. Cedar is a lightweight, but sturdy wood; it is easy to work with and a favorite choice among skilled carpenters. Cedar is rich in color and fragrance and when treated with quality stain, the rich reddish hue of cedar can be beautifully preserved with annual maintenance. Or, if left to weather, cedar naturally fades to a lovely soft, subtle gray tone. Cedar has aesthetic appeal with very distinct and varying grain patterns. For these reasons, cedar remains a popular and sensible choice because cedar is both handsome and practical for outdoor living. Cedar is a classic wood which stands the test of time. It’s here for the ages. 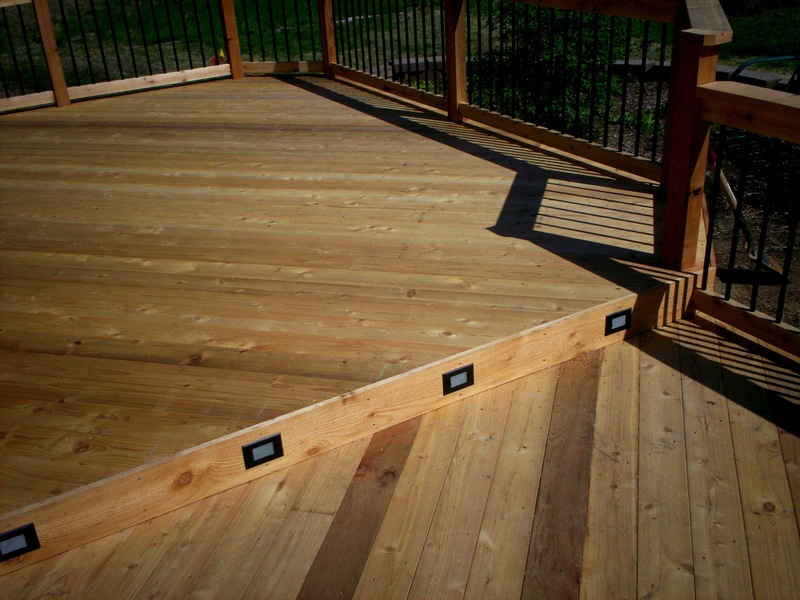 To see more pictures of wood decks, or composite and vinyl decks that emulate the look of wood, visit our website Archadeck of West County and St. Charles County. 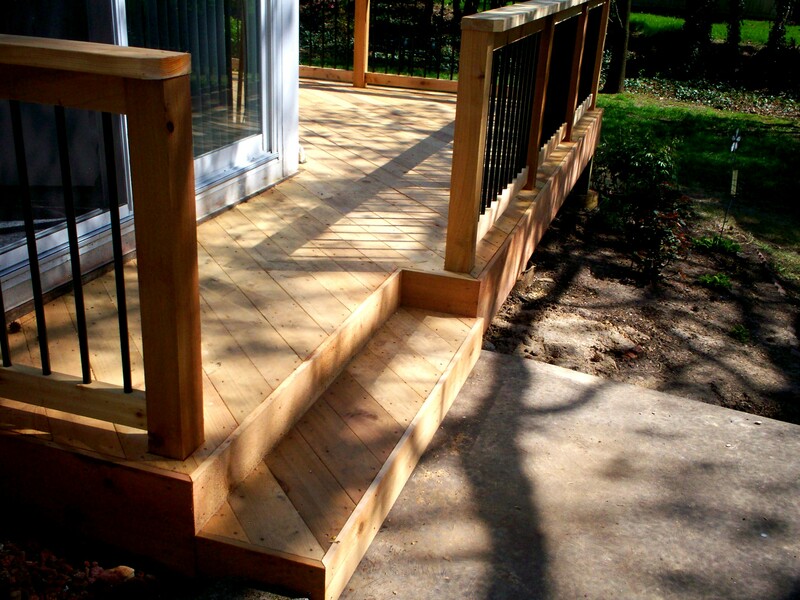 As a premier St. Louis deck designer and builder, we also design and build porches, pergolas, gazebos, and other outdoor living structures. Archadeck serves all areas of St. Louis, St. Louis County, West County, St. Charles, St. Charles County in Missouri and parts of Illinois too.